Bring a sense of whimsy to the garden with these lively pole trellises. 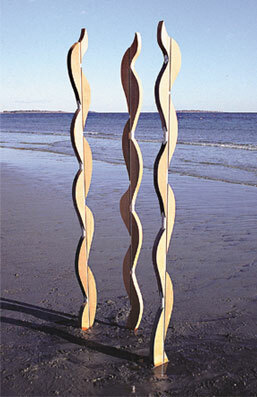 Placed singly, or in groups, these unique sculptural trellises are perfect for various climbers from clematis to beans. Made of cedar, with an a heavy aluminum pole for its structural element, these trellises will last a lifetime.